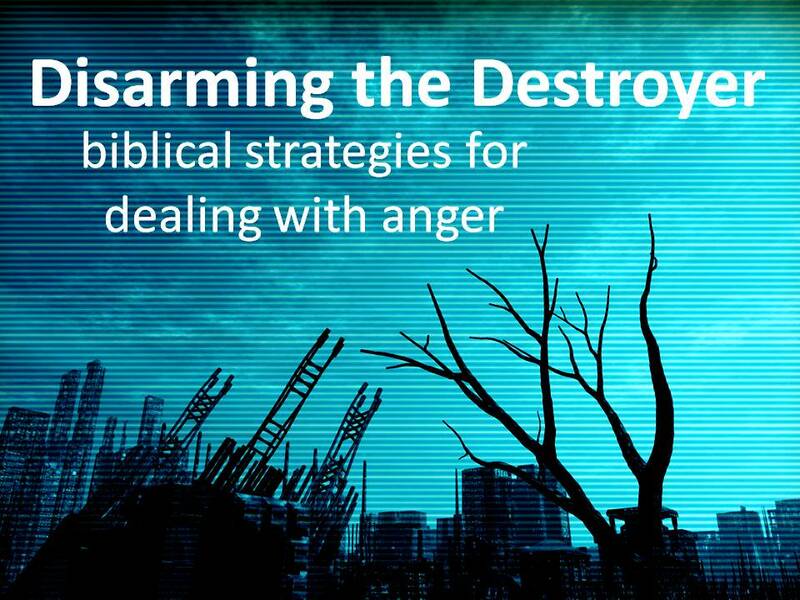 When it comes to our anger there are three faulty beliefs that need to be corrected if we hope to be victorious. Belief #1: You believe what feels right must be right. Belief #2: You believe your thoughts have a mind of their own. Belief #3: You believe your desires are your rulers. The second one receives our attention today: You believe your thoughts have a mind of their own. With anger our mind can fool us into thinking our thoughts are involuntarily (i.e. they happen without us being aware of them), but in truth, they are simply habitual. The brain is an amazing organ with amazing capabilities. There are certain tasks that our brain does without us even being aware of them. We call those actions involuntary: Things like signaling our lungs to bring in oxygen or letting our heart know it’s time to beat again. There are other thoughts our brain does when we tell it to. Like every key stroke I’m making at the computer or words you might say to a neighbor. We tend to think there are only two categories, but in truth, there’s a third. There are the things we do habitually. There are patterns that we repeat so frequently that we do them as if we were not thinking. For instance, when I first started to play the guitar my fingers fought me to play the G chord, but as I did the task repeatedly I no longer had to think where my third, fourth and fifth finger went. They went their naturally. I only had to think “G” and then my mind did the rest. Now it happens so quickly, it feels like an involuntary action—almost like I don’t have to think about it. But it’s not involuntary; it’s habitual. It is simply a thought and action I’ve repeated until my mind has memorized the response. Now the important distinction: Because it’s simply memorized, and not involuntary it can be relearned. You probably need to read that sentence again; because for the person struggling with angry thoughts you’ve just been set free. You believed your thoughts had a mind of their own, but they don’t. They may be stubborn habits but they can be relearned. This truth is evident in the way the Bible talks about our thoughts. When the Bible wants to make a simple statement of fact it uses the indicative mood, but when it wants to point out our ability to make a choice it uses the imperative mood. The latter, we read in our English Bible as commands. Joshua said, “Choose you this day whom you will serve” (Josh. 24:15). It’s easy to hear the command in Joshua’s statement. 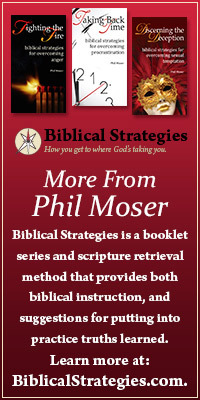 But the Bible also uses the imperative mood (revealing choice) in respect to our thinking. For instance in Philippians 4:8 Paul gives a list of 8 qualities, and he follows it with a command. Finally, brothers, whatever is true, whatever is honorable, whatever is just, whatever is pure, whatever is lovely, whatever is commendable, if there is any excellence, if there is anything worthy of praise, think about these things (Phil. 4:8) [emphasis added]. Think on these things is in the imperative mood meaning you can choose what you think about. Reexamine the list and you will see there’s not an angry thought in there. When I am angry it feels like my thoughts have a mind of their own. It helps me to remember they are simply habitual thought patterns, and that the Holy Spirit has granted me his power to bend them to his will. I’m not saying it will be easy, I’m just saying that you can’t say its impossible. This is why Paul urges us to bring all thoughts captive in our obedience to Christ (2 Cor. 10:5).